Hymenopterans include the largest orders of insects, ranging from ants, bees, hornets, wasps to sawflies. 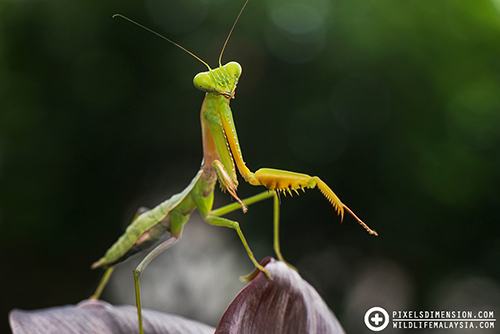 Many of these insects have evolved efficient to downright bizarre body parts e.g. mouth-parts or stingers which serve various purposes. 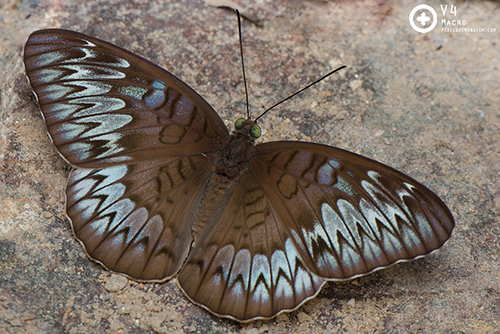 However, despite the extensive range of morphology, these insects have, at certain stages, unique wing structures where the hind-wings are attached to the fore-wings by means of hooked bristles known as hamuli. Hymenopterans grow through complete metamorphosis involving four stages- egg, larva, pupa and adult. In general, the larvae of Hymenopterans may either resemble caterpillars, or maggots. #1. A honey bee (Apis mellifera). 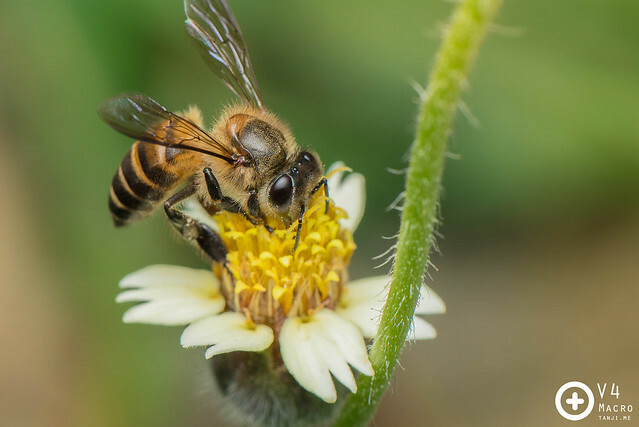 Honey bees are undoubtedly the most common Hymenopterans one can see in life. These bees live in colonies and occur in three different forms (also known as castes): Drones, workers and queens. #2. Weaver Ants working together. Ants are also grouped under the order Hymenoptera. 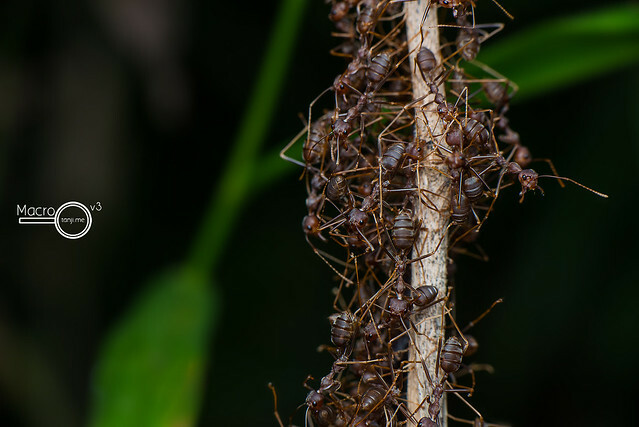 These ants form efficient, hierarchical colonies that enable them to colonize almost every dryland on the planet. #3. A Lesser-Banded Hornet (Vespa cf. affinis). 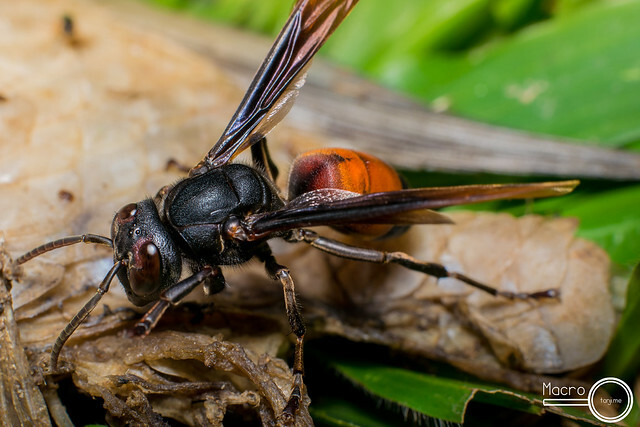 Hornets are large-sized wasps that are often attracted to flesh and other sugar-containing food materials. 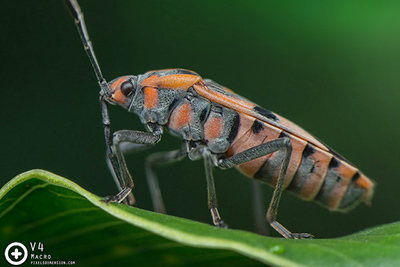 These insects build large, exposed nests on tree branches; and are known to produce attack pheromones leading to swarms of dangerous hornet attacks. #4. A Carpenter Bee (Xylocopa sp.). 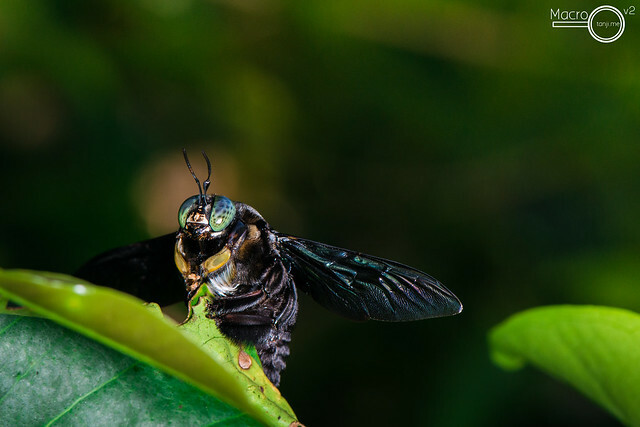 So called due to their tendency to create burrows in wood, Carpenter Bees are large and dark-coloured Hymenopterans that create loud buzzes when flying. Male Carpenter Bees do not have stingers, whereas female ones are generally shy, and will sting only when directly provoked. #5. A Green Weaver Ant Queen (Oecophylla smaragdina). A queen green weaver ant guarding her young. This queen ant used to have wings, but now its shed. The queen will take care of its first batch of larvae until they hatch into worker ants, and from there they will continue to expand, and thrive. Queens often hide by sticking leaves together using silk produced by their larvae. #6. 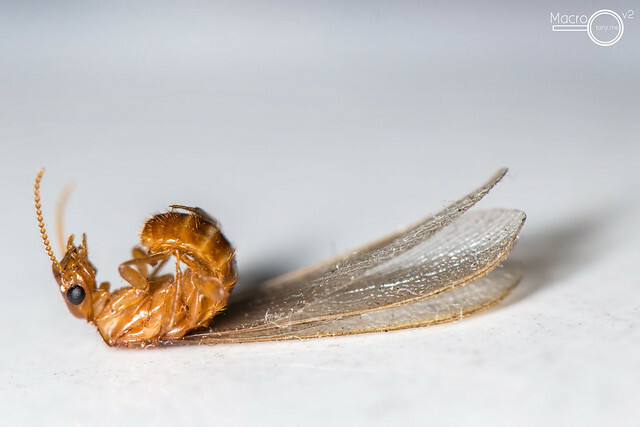 A dead Termite Fly. Termite Flies (also known as alates) consisting of both males and females will usually emerge in swarms that are attracted to light. 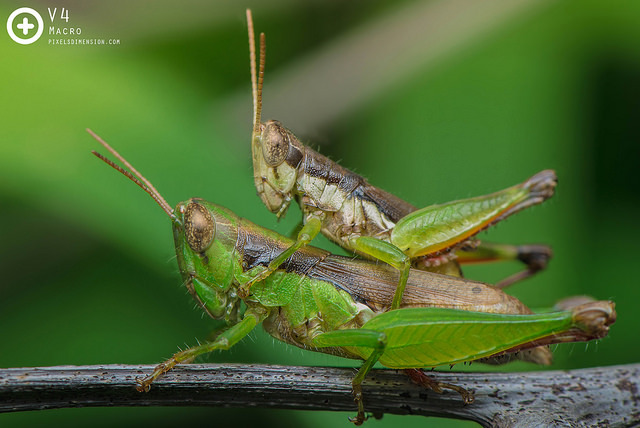 Mating pairs will look for a suitable place to start a colony before copulating. Most end up starving, or as food to larger predators. #7. A Wasp (Ropalidia?) in flight. Most common wasps can be easily distinguished from hornets or bees by their unusually slim section between the thorax and abdomen. #8. A Soldier Ant guiding the Workers. Soldier ants are larger-sized ants that are often stationed at both sides along ant trails to provide protection. Here the Soldier Ant is seen directing the worker ants on an alternative travelling path. 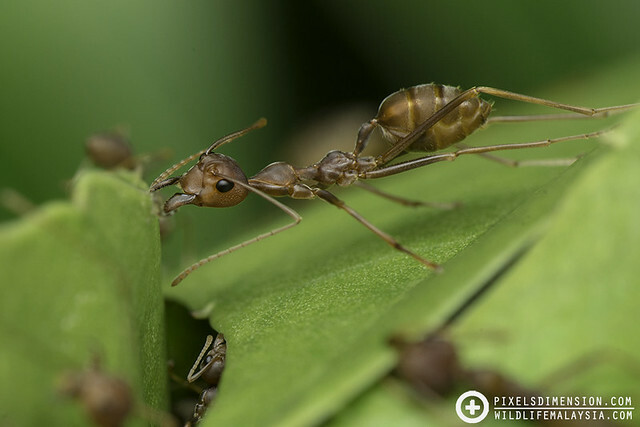 Ants are known to communicate through pheromones and antennae touches. #9. Stenogastrine wasps (Parischnogaster sp.). Female wasps feeding their young residing within inverted cup-shaped holes early in the morning. 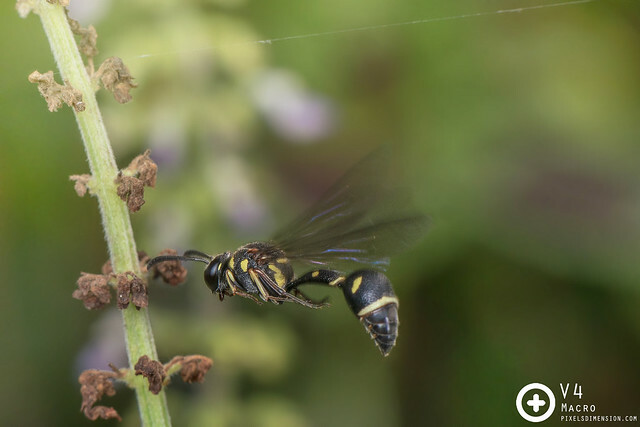 These group of wasps often build their nest on small branches or twigs near tree trunks. Different species of Parischnogaster wasps are known to build different types of nests. #10. A hymenopteran fight. 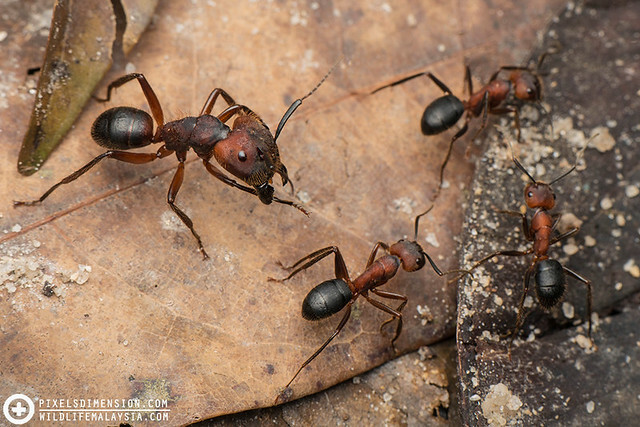 A battle for survival between a weaver ant (Oecophylla sp.) 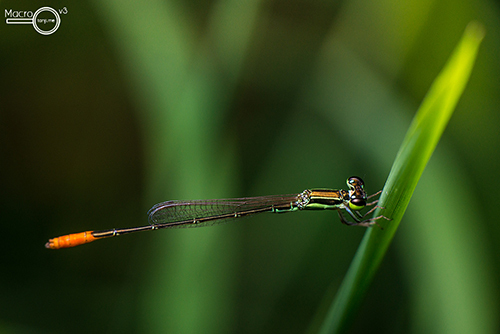 and a wasp, which are quite closely related to one another. The wasp will win in the fight so long as the weaver ant doesn’t get any reinforcements. This is because the weaver ant doesn’t have a stringer, even though its bite can be powerful. On the other hand, all the wasp has to do is stab the ant with its venomous sting and its over. #11. 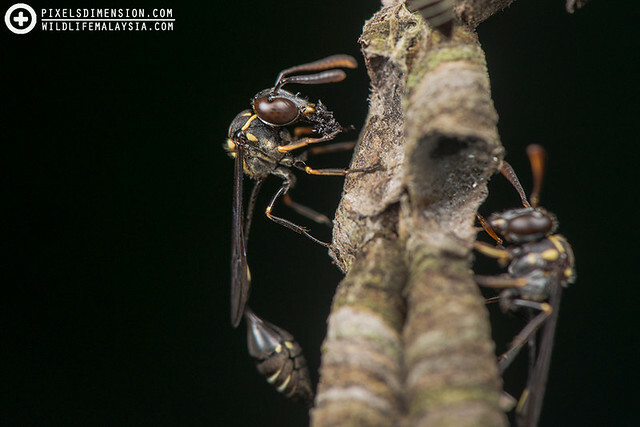 Stingless bees guarding their nest (Tetragonula sp.?). Stingless bee guards protecting the entrance to their hive. Stingless bees, as the name suggests, are not capable of stinging. They build their hives in tree cavities, rock crevices and even man-made structures. The bees store pollen and honey in large, egg-shaped pots made of beeswax mixed with various types of plant resin. Because of this, stingless bees are often cultivated for their honey. #12. Weaver ant holding on (Oecophylla smaragdina). Kerangga ants build their nests using leaves, and inside is where the queen will reside. 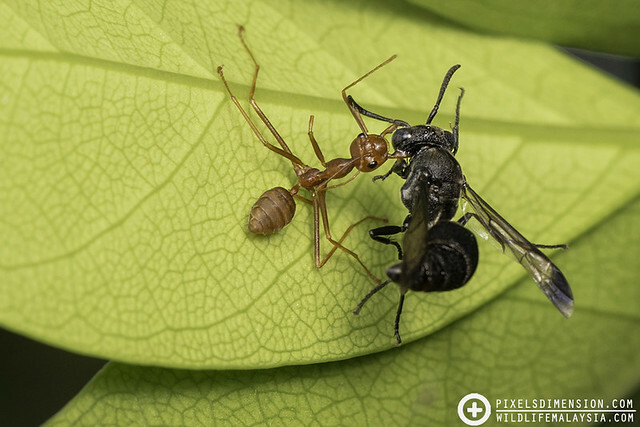 In order to keep the nest intact, some ants have to use their bodies and fangs to connect and hold pieces of leaves in place. These ants show extremely high level of discipline and will not move a single bit even when disturbed.